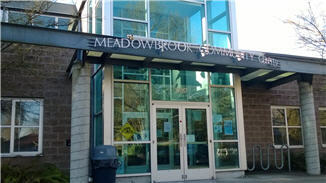 Operated by Seattle Parks and Recreation, the Meadowbrook Community Center is notable for its indoor pool. Located in northeast Seattle in-between Lake City and Wedgwood - the community center has lots of sports, play, and other recreational activities. The parking is plentiful (although the spaces are surprisingly tight) and the center is conveniently located on a good bus route.